The principal service is the Holy Eucharist (Holy Communion) and can be found in The Book of Common Prayer, available in the pews. The 8am service it is celebrated simply, without music. The 10am service includes music. You may wonder when to stand or kneel. The general rule is to stand when singing (Hymnal also in the pews). We stand, too, to say our affirmation of faith, the Nicene Creed, and for the reading of the Gospel. We sit during readings from the Old Testament or New Testament letters, the sermon, and the choir anthems. We stand or kneel for prayer to show our gratefulness to God for accepting us as children or as an act of humility before God. We hope you will find the services beautiful in their ordered dignity, God-centered, and yet mindful of the nature and needs of human beings. It is customary upon entering church to kneel in one's pew for a prayer of personal preparation for worship. Many will bow to the altar on entering and leaving the church as an act of reverence for Christ. Most do not talk in church before a service, but use this time for personal meditation and devotions. This service is celebrated most Tuesdays at 11:30 followed by a light luncheon. The service is quiet and the congregation is small, making the service intimate. Recently, the service and luncheon were held in a parishioner's garden, so everyone was able to enjoy their fabulous garden and a beautiful early summer day, in addition to good company and conversation. The service be will going on summer vacation after June 20, 2018. For anyone who is interested, please watch the on-line calendar and newsletter for information on when it will resume in the fall. In the waters of baptism we are lovingly adopted by God into God’s family, which we call the Church, and given God’s own life to share and reminded that nothing can separate us from God’s love in Christ. At Holy Nativity, baptisms are usually celebrated at the 10am service on Sunday, but other arrangements can be arranged. If you wish to have a baptism here, please contact Father Harry or the church office. 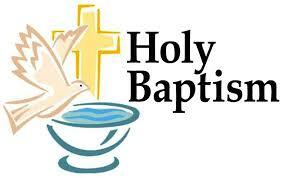 Baptized Christians are welcome to have their wedding performed by our clergy at the Church of the Holy Nativity. Pre-marital counseling sessions are required with the clergy here for all couples prior to their wedding. 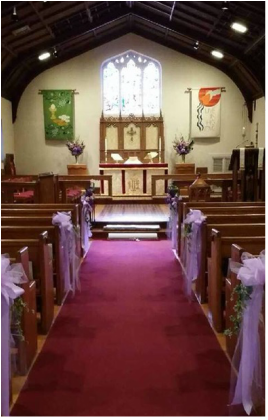 Weddings are not scheduled during Lent and Advent and weddings are not scheduled on Sundays. If either the bride or the groom has been divorced, it is necessary to receive the approval of the bishop for the officiating clergy to perform the marriage ceremony. This procedure is done in consultation with the clergy and an additional 30 days may be necessary for the bishop to consider the request. If you would like to celebrate your wedding at Holy Nativity, please contact Father Harry or the church office to schedule a meeting. The Liturgy for the dead is an Easter liturgy. It finds all its meaning in the Resurrection. Because Jesus was raised from the dead, we, too shall be raised…. This, however, does not make human grief unchristian. The very love we have for each other in Christ brings deep sorrow when we are parted by death. Jesus himself wept at the grave of his friend. So while we rejoice that one we love has entered into the nearer presence of our Lord, we sorrow in sympathy with those who mourn. At the time of death, surviving family members and/or those responsible for making the funeral arrangements should contact Holy Nativity so that we may help guide you toward making appropriate and reasonable decisions regarding the funeral. Our clergy are available to meet with you and consult with your funeral home of choice to help with coordinating plans for the funeral. Please contact Father Harry or the church office to begin making arrangements.